State Council of Educational Research & Training (SCERT) conducts an entrance exam for SCERT Odisha B.Ed Admission 2020 every year for those candidates who want to make a career in teaching fields. The State Council of Educational Research & Training will invite the application form for interested candidates as SCERT Odisha B.Ed Admission 2020 at the official website of the Directorate of Teacher Education & State Council of Educational Research & Training (SCERT) Odisha. Through SCERT Odisha B.Ed Admission 2020, the Board provides government seat for eligible candidates. Relevant details about SCERT Odisha B.Ed Admission 2020 are given below. 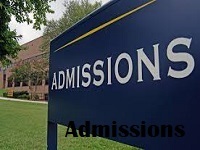 Only Indian citizens will able to apply for admission. Passed 10th/Matriculation with ITT Course from an applicable University/Board with qualifying marks is required to fill the application form. Passed Under Graduation or Post Graduation with the subjects of Social Science/Science/Humanity/Social-Sciences. Candidates must have secured a minimum of 50% marks in the above qualification (45% for reserved category candidates). Passed under-graduation in the field of Technology or Engineering with Specialization in Mathematics and Science are eligible to appear in the entrance examination. Candidates are required to pass the above qualification with at least 55% marks (50% for those candidates who are from ST/SC/PWD/SEBC). 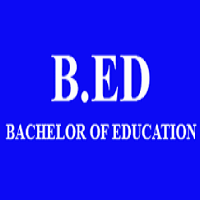 The Orissa Board of Secondary Education offers SCERT Odisha B.Ed Admission 2020 for B.Ed. course. The Online Application Form of SCERT Odisha B.Ed 2020 will be released on the official website. The Candidates need to fill the educational qualification and personal details in the application form. The Application form will be available on the online portal i.e. 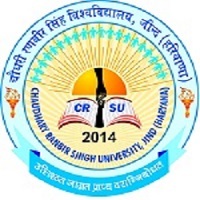 official website of the university. The application fee for general category candidates will be Rs. 400. The application fee for reserved category candidates will be Rs. 200. There will be multiple choice type questions in the paper. 2 Papers will be conducted for this exam. The question paper will have 150 questions in total. The question paper will have 4 sections in total. The Admit card is a mandatory document to carry at the exam center. Two weeks before the examination, the SCERT Odisha will issue the admit card. Only eligible candidates can get the admit card. The admit card will not send by any others mode. Candidates must carry a valid id proof with admit card. 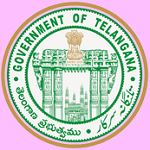 The Admit card will contain information of candidates and examination. Candidates will be required to enter required details to download the admit card. The result for SCERT Odisha B.Ed Admission 2020 will be declared at SCERT Official web site in the month of September 2020. After the declaration of result candidates will invite for the Counseling Process. The Admission will be provided on the basis of entrance exam merit list & counseling.